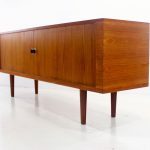 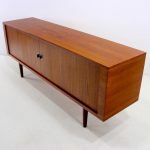 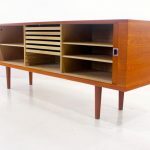 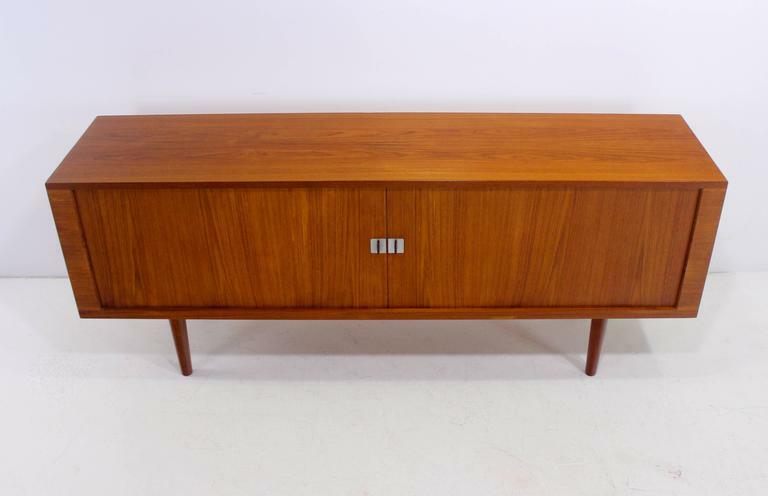 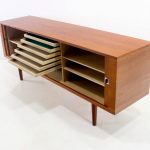 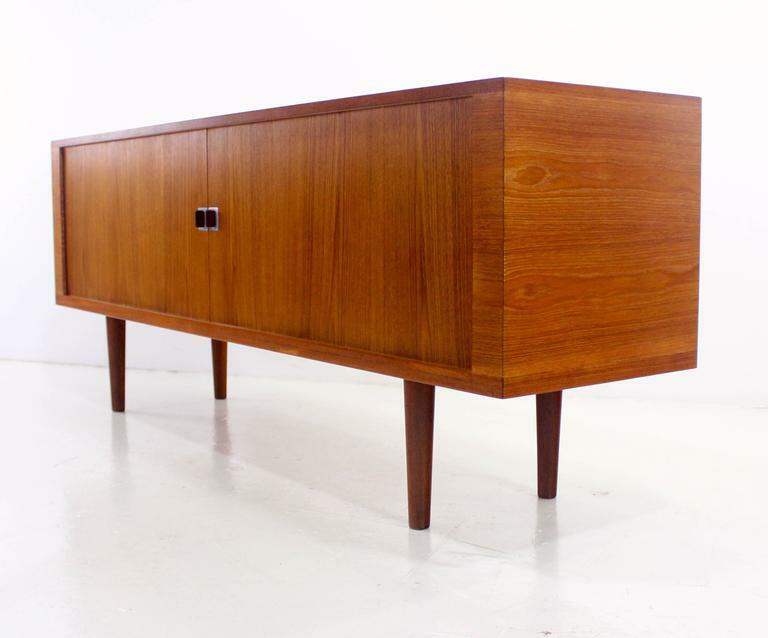 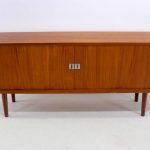 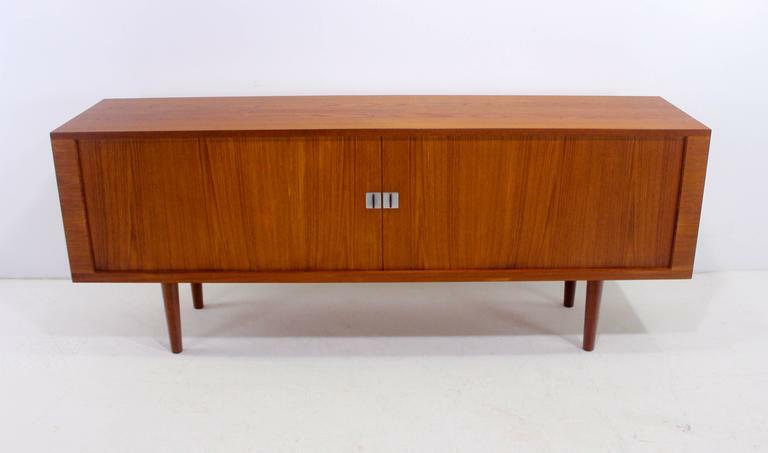 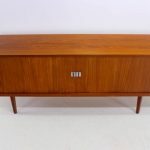 “The President” – the ultimate Danish modern credenza designed by Hans Wegner. 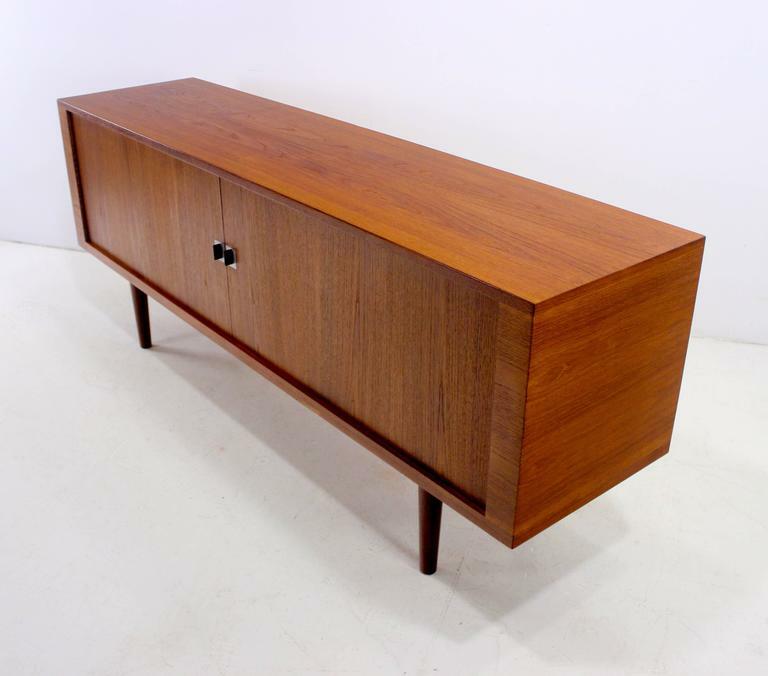 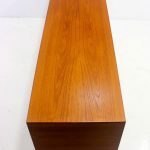 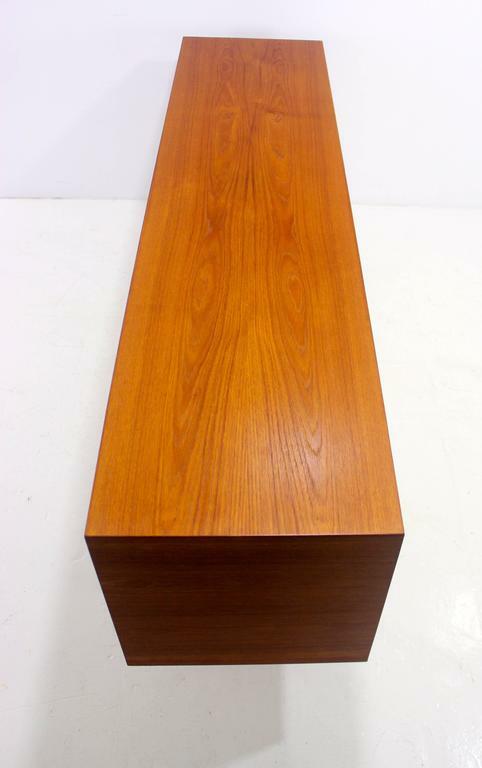 Richly grained teak with oak interior. 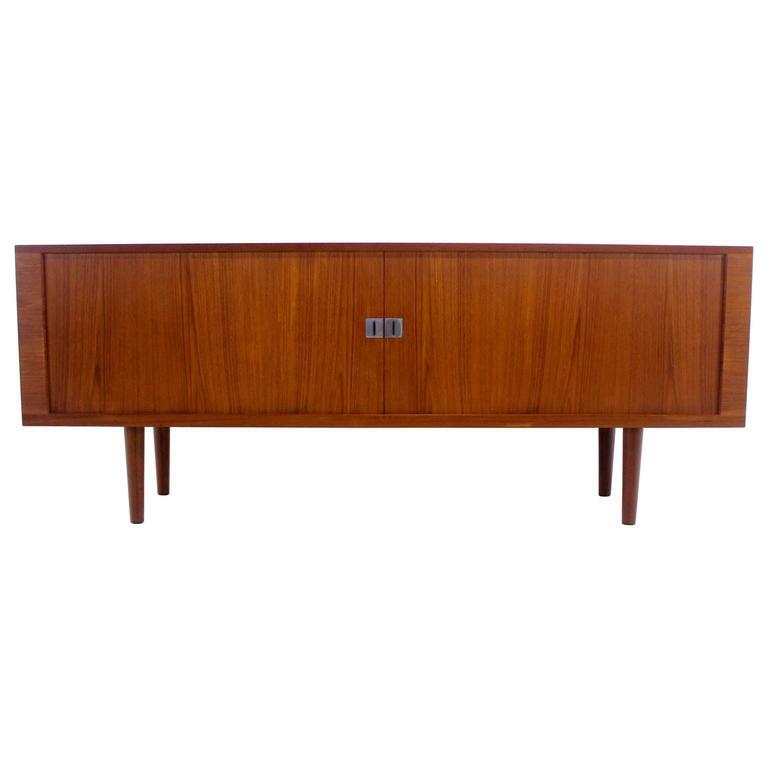 Tambour doors, with elegant square metal pulls, glide open to adjustable shelves on each end. 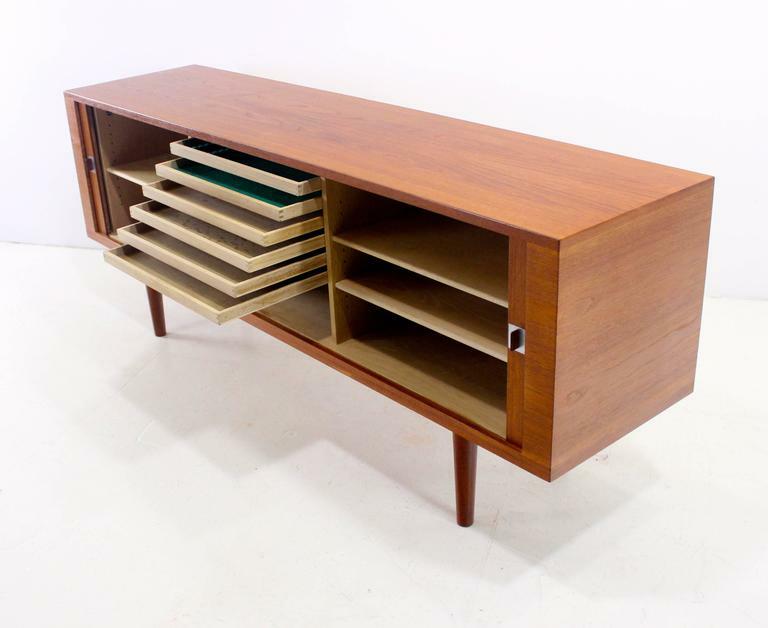 Six drawers in the middle. 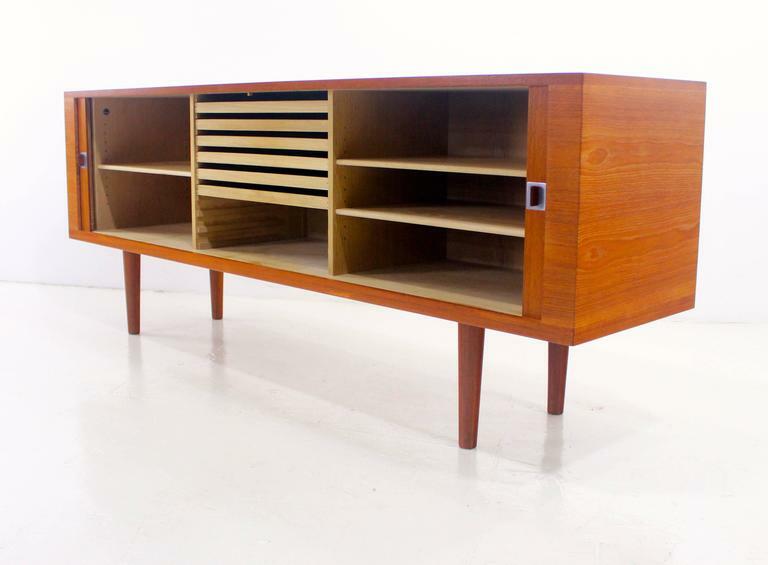 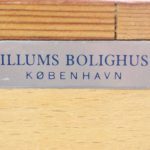 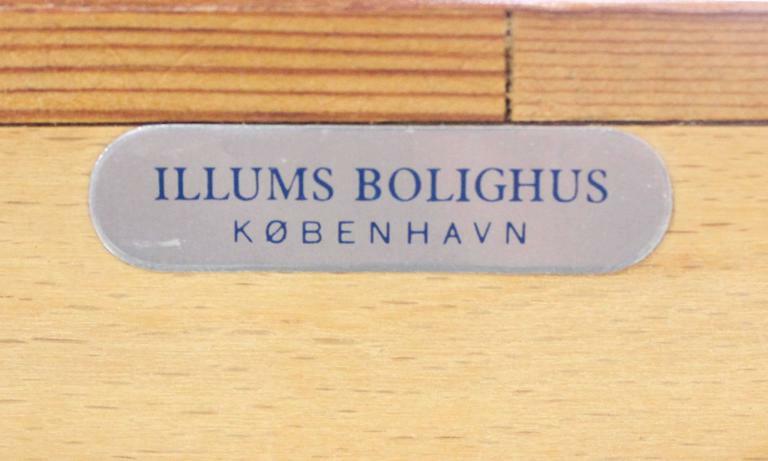 Unparalleled investment value and style for the discerning Danish modern / Hans Wegner collector.